Too often, people are feeling 'in the dark' about their health conditions, about what healthcare options are available to them, or what will happen to them. Even for those who are well informed, many patients are experiencing the frustration of going from surgery to hospital to GP practice and having to tell their story over and over again. Sometimes hospitals may even lose their notes. Through adoption of new technology, we can actually overcome all these problems and do more to improve efficiency in healthcare. People can access GP Online Services and own a Personal Health Record (PHR). This involves viewing their GP-held health record, seeing test results, getting tailored health information and booking appointments. 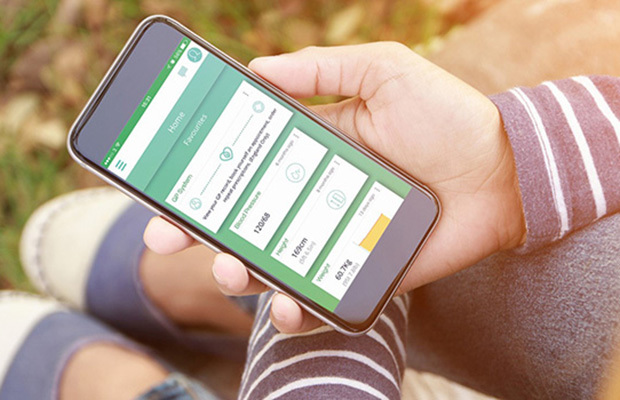 In this article, we take a look at how owning your Personal Health Record through the Evergreen Life app can help you manage your health better. Health records take various forms, but in summary, they are collections of information related to your health or care, often held by hospitals or your GP. Sometimes referred to as an electronic medical record, it should contain all the clinical information about the care you've received (medications, reactions, allergies, consultation notes, etc.). Based on this info, healthcare professionals can make decisions about your further treatment. A Personal Health Record (PHR) is an online record owned by you. It allows you to add and organise your lifelong health information and provides the ability to make appropriate parts of it available to those who need it such as loved ones, healthcare professionals and other health organisations. Are you often asked to recall parts of your medical history from memory when you meet with a doctor or a nurse? Can you remember when you were diagnosed with a condition or started a certain medication? Are you often asked how long a symptom has been occurring or asked to go away and make a record of how often a symptom occurs? A PHR can also be helpful in maintaining your health and wellness, not just treating illness. PHRs can provide access to a wide range of health and fitness information as well as self-care tools that help you make more informed choices. Overall, a PHR can motivate you in your general wellbeing and fitness goals, so that you can self-manage health conditions proactively. You can record all of your medical history, conditions, vaccinations and allergies onto your own mobile personal health record. Get helpful reminders on when to take your medication and record when you’ve taken it in the medication diary. Share your record whenever you choose to with a loved one, carer, or health professional so that you can be supported in getting the best health and care. Self-manage your conditions better by recording health stats like blood pressure, blood sugar level, visceral fat, and more in the Health & Fitness Monitor - then share this info with health providers at the touch of a button. Learn how your genetics affect how your body reacts to diet and exercise, or how your skin responds to the sun with our DNA testing kits for diet, metabolism, fitness and skin. What else can this incredible app do? Wait, there's more?! Take a look at our rundown of the top ten things to do within the Evergreen Life app and see how you can take control of your health, wellbeing and fitness today.